I am indebted to two of my blogging friends for the discovery of this book: firstly Stu at Winston’s Dad for inroducing me to Sjón’s writing when I was a member of his Shadow Jury for the International Foreign Fiction Prize, and secondly Joe at Rough Ghosts for reviewing this particular title in such an enticing way. And just out of idle curiosity, because there’s been discussion elsewhere about the importance of Amazon reviews, I checked the reviews for this title at The Big Behemoth and found that they were so inane I would not have contemplated reading this little gem if I had relied on them. That would have been a pity, because this novella is so superb at depicting attitudes to gays at the turn of the 20th century. The story is set in Iceland, as WW1 is drawing to a close, with the erupting volcano Katla raining dust upon the city and the Spanish flu about to wreak havoc on the population. Reykjavik is not then the ‘cool’ city of contemporary tourist brochures. The Reykjavik of Moonstone represents many places and many cultures in the way that it shows the hypocrisy and cruelty that surrounds young men coming to terms with their sexuality. Although I admit to being a bit startled by the frankness of the opening scene in which sixteen year-old Máni Steinn “services” his “gentleman” I could soon see why it was there, and why it was there right on the opening page. It’s as if Sjón is saying, look, here it is, deal with it or take your hypocrisy away and don’t read my book. The old lady’s attic has little in the way of heating. Owing to the shortage of coal, she’s fallen back on two paraffin stoves that she doesn’t dare to leave burning at night for fear of fire. A faint warmth filters up from the floors below, but it’s much feebler than the heat she’s used to receiving secondhand from the landlord and his household over the winter months – for the socialist and other important folk are feeling the pinch too – no one can be found to stoke their boiler any more. Máni has learned from an early age only that his mother’s illness is unmentionable. She had leprosy, which in those days meant exile and isolation, because people were afraid to have any contact with lepers. The fear of the illness and the rejection of its sufferers has resonances later on in the novella in ways that an alert reader will be able to predict. Isolated by his poverty, his difficulties at school and his emerging sexuality, Máni finds solace at the cinema. The city has two cinemas and multiple screenings and he sees two or three films each day, absorbing the fantasy worlds he sees and making them part of his world view. But when the Spanish flu strikes there are not enough musicians left to accompany the silent movies, and the silence in the theatre foreshadows the ominous hush [that] lies over the busiest, most bustling part of town. The hallucinatory pages that depict Máni’s feverish experience of the Spanish flu are contrasted with a workmanlike explanation of its ghastly symptoms. But the climax of the novella is yet to come. With his recovery, Máni is needed by the community that had no place for him before. He takes on ambulance work with Sóla G-, an enigmatic figure who seems to be the one person who knows his secrets and cares for him anyway. When the inevitable discovery of his sexuality takes place, and even kindly Dr Garibaldi is deep in denial that such aberrant behaviour can occur in Iceland, and the consensus is that Reykjavik must be rid of such pestilence – it is she who takes his hand in friendship, foreshadowing a more tolerant future. The book won the Icelandic Literary Prize. Thanks for the nod Lisa. Glad you enjoyed the book. Amazon reviews make me laugh, especially those who give one-star for something to do with delivery or condition of the book—not content. There is a place for those complaints—customer service—not lowering the rating of a book that you probably haven’t even read! Yet if you read that article that I’ve linked to (“elsewhere”) you can see that indie publishers seem to think they matter a lot. I’m not convinced about it, I know that word-of-mouth is the single best publicity an author can get and that’s why they try so hard to get us ‘talking about’ their books, but I feel that they’re overlooking the importance of the opinion being trusted. I hear lots of people talking about books, but I only take notice of the talk when it comes from people who like the same sort of books as me. I only know that, if I know them, so an anonymous spiel at Amazon doesn’t mean a thing. This sounds wonderful. The quotes you pulled are beautifully written. I really enjoyed The Blue Fox so I’m very excited to read this! No *sigh* my library doesn’t have it. I definitely agree about the word of mouth thing – I trust the bloggers I read regularly and would rather rely on their opinions than someone on Amazon who often has some kind of axe to grind. But even if their reviews are totally objective, how can we tell what their reading tastes are? Take a crime novel as an example. Now, I don’t like most crime novels, most people love them. There are positive reviews of crime novels all over the place yet I know that I am not going to enjoy 99% of those books. Nevertheless there are some that contrary to my own expectations, I’ve really liked. When Marilyn Brady recommended Malla Nunn’s A Beautiful Place to Die, I was tempted, and she was right, it was a really good book to read. It’s was the fact that *Marilyn* liked it, that convinced me – if some other reviewer at Amazon had written exactly the same review, I wouldn’t have taken any notice of it! Exactly – the bloggers I trust are the ones I’ve read for some time. You get to know when your tastes coincide and if they love a book you probably will too! I love Sjon too Lisa. He’s such an interesting writer. Lovely style. I read this last year and really enjoyed it as well as The Blue Fox. Looking forward now to reading others. It’s so different to Mouth of the Whale, he’s a versatile writer. Oh thank you, LIsa! I knew that Sjon had a new one out but missed the date. I’ve read and loved both The Blue Fox (which I read first) and Mouth of the Whale (read almost immediately after The Blue Fox). 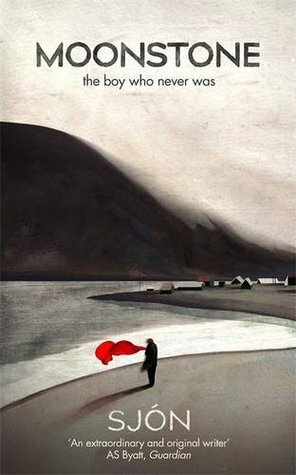 And I love Icelandic literature – from Haldor Laxness and Sjon through the chilly crime thrillers. I’ve just bought The Blue Fox for my Kindle, so I’ll read your review of that later! It is certainly a read that gets you in. I loved the writing style.